We suggest filling a couple of glass drink dispensers with some lovely fruity cocktails, flavoured water or lemonade. This will mean your guests can help themselves to refreshments whenever they fancy. 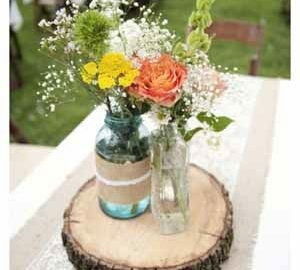 Display mason jars or glasses with striped straws for a fun touch. You could offer the younger guests milkshakes or soft drinks with colourful straws. Slates or blackboard signs are a stylish way of letting your guests know what you’re serving. 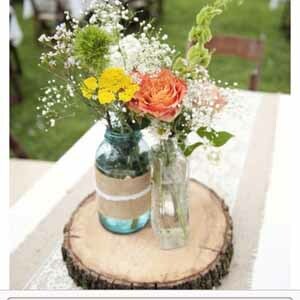 We also love the idea of displaying your glass drink dispensers on wooden crates. This will look fab if you’re having a rustic or country barn wedding theme. 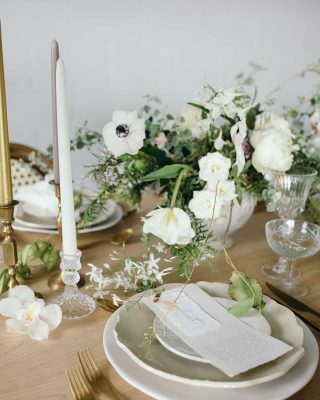 Are you dreaming of an elegant vintage affair? 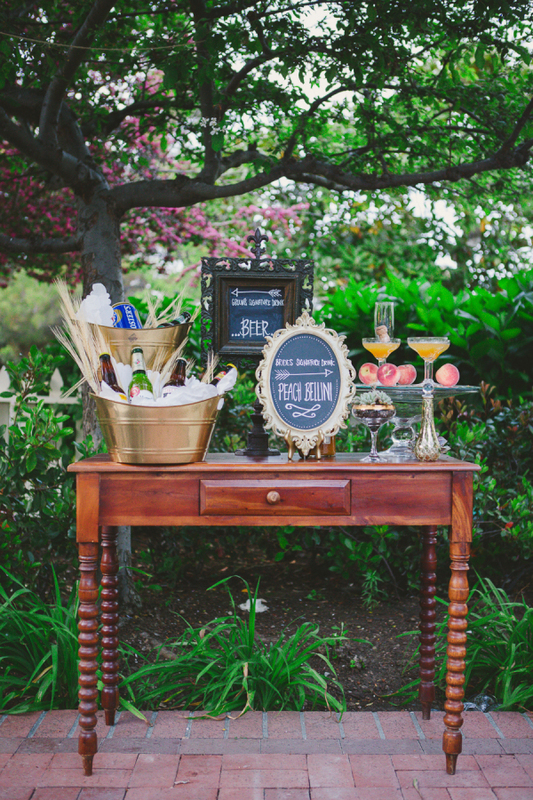 Then opt for an antique dresser or vintage table to display your wedding drink station. 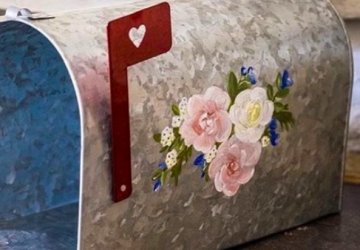 It will immediately set the scene and will tie your theme in with your venue. We suggest serving an array of old-fashioned cocktails to really transport your guests to a bygone era. If you want something simple yet stylish, why not just display cocktails on an antique gold tray? 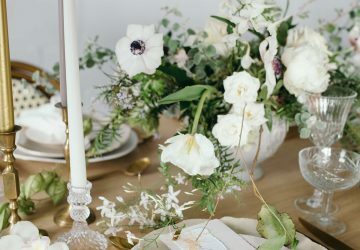 This is a great option if you’re having an intimate celebration and it can work both indoors or outdoors. Blooms, foliage and greenery can effortlessly transform any bar or drink station. Hang a garland across the front of your bar area and it’ll instantly look beautiful. 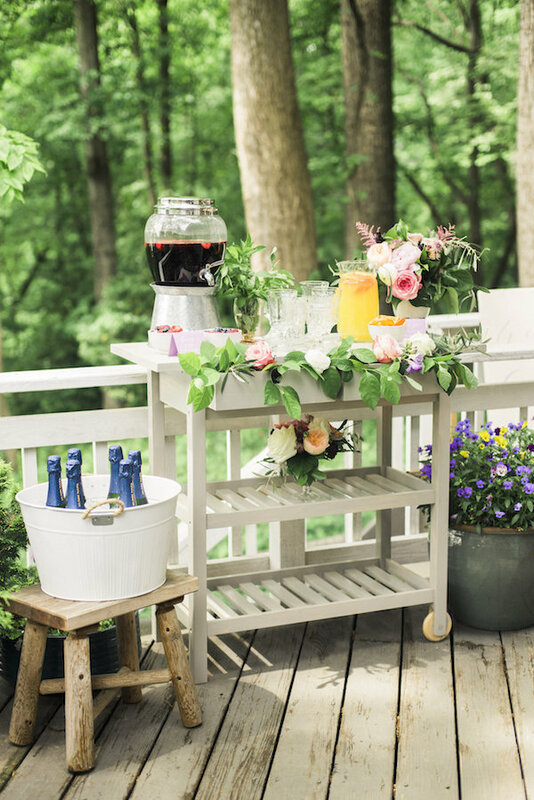 If you’re a fan of keeping up with the latest wedding trends, you’ll know that greenery is predicted to be big news for 2017, so this is the perfect match for your wedding drink station. 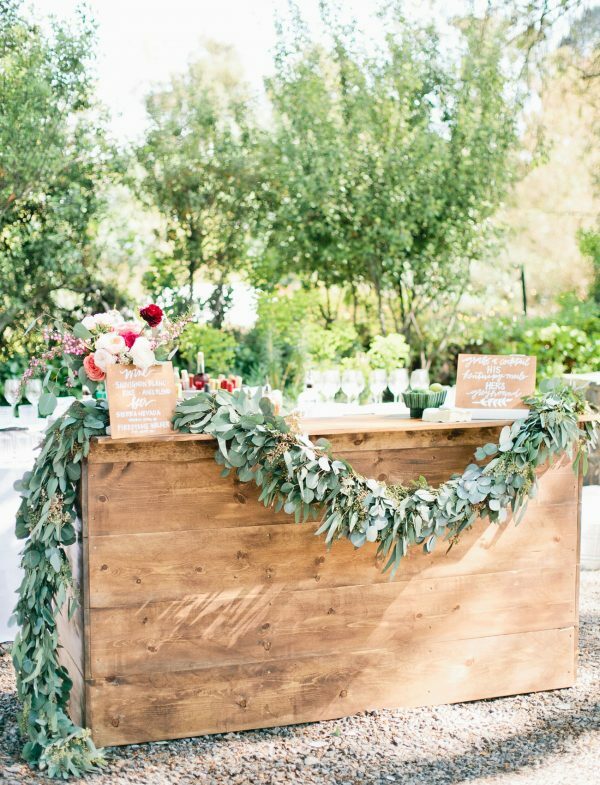 We’re huge fan of metallic bar carts here at The Wedding Of My Dreams, and we think you will be too! 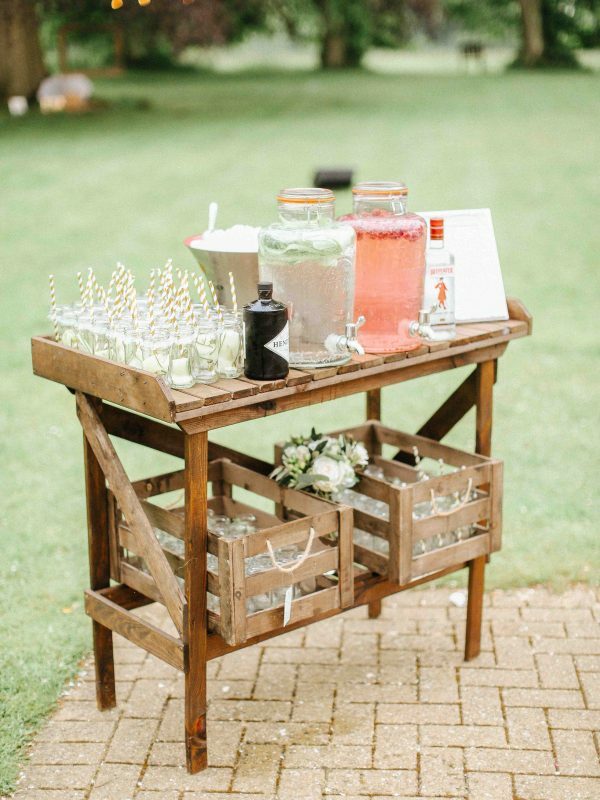 This is a stylish alternative to a traditional drink station and it’s seriously on-trend. 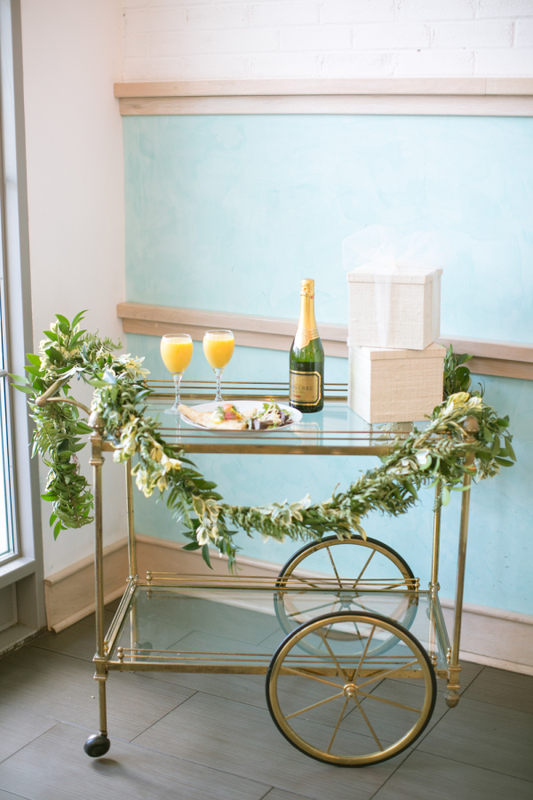 You can opt for a modern style or a vintage bar cart with a dash of Gatsby glamour. 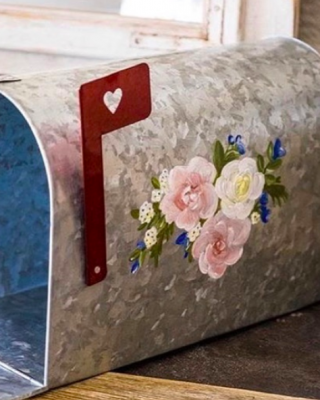 Consider decorating it with tea-lights, candle sticks or vases brimming with flowers. 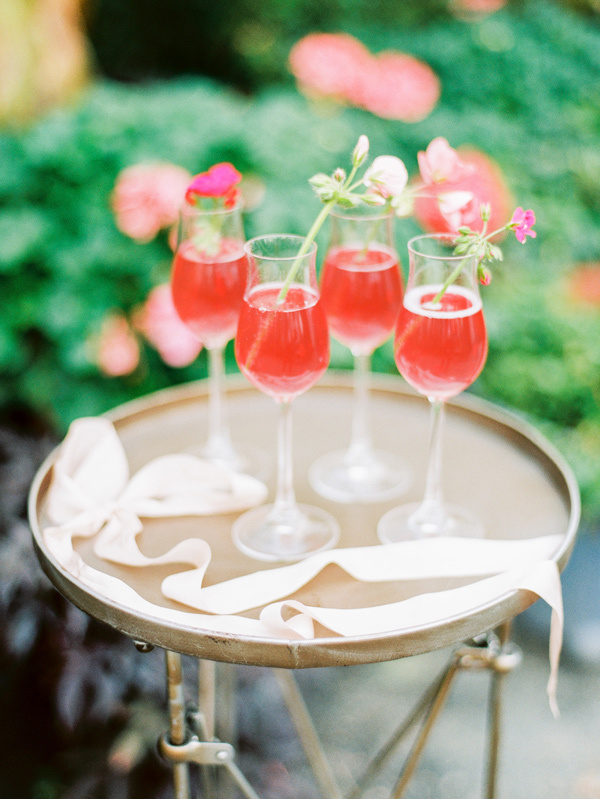 Use a variety of mismatched frames to let your guests know about your drink station and what you’re serving. A bar menu will also save your guests asking lots of questions. Why not choose two signature cocktails that you and your parter enjoy, and write it on a blackboard sign? 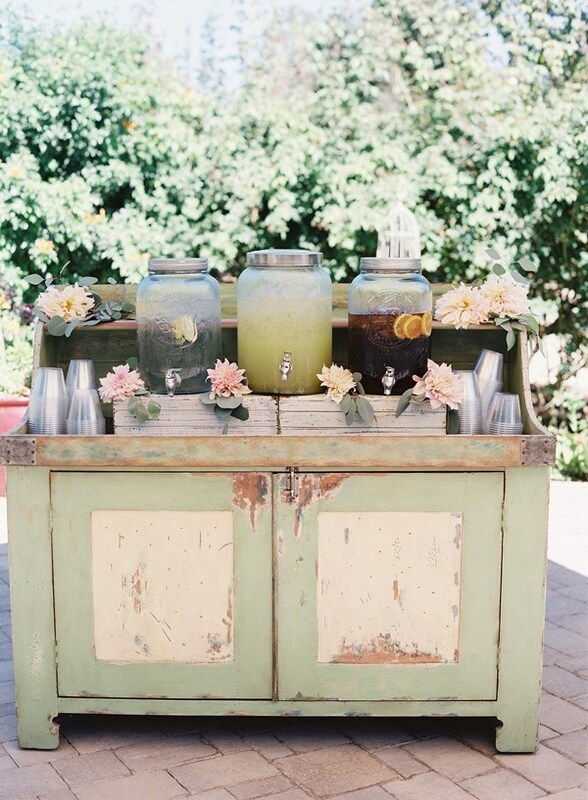 There are so many ways to create and decorate a wedding drink station. 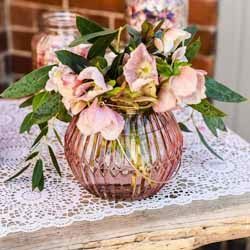 It’s easy to style one so that it fits in with your colour scheme or wedding theme. 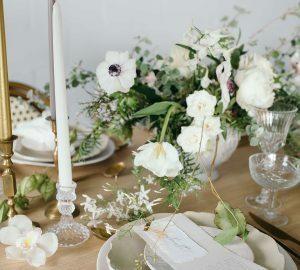 For a nod towards Spring we recommend using an abundance of foliage and flowers. 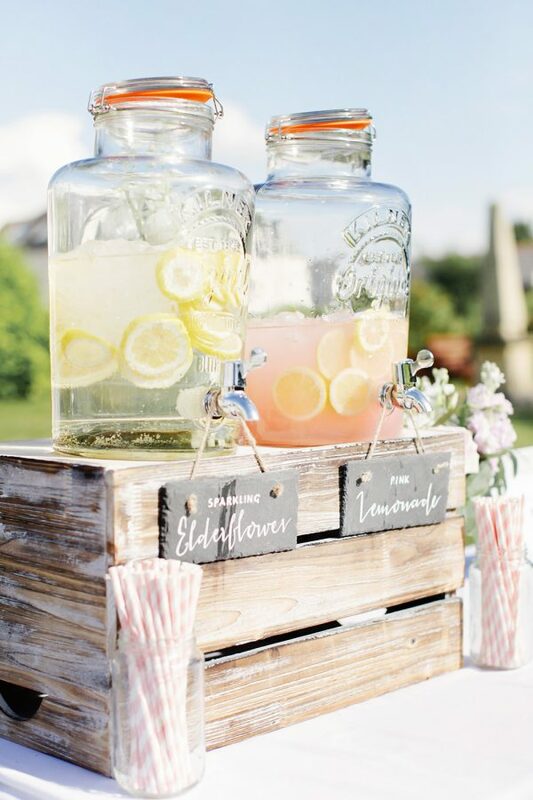 Make sure your drink station ties in with the rest of your wedding decoration! 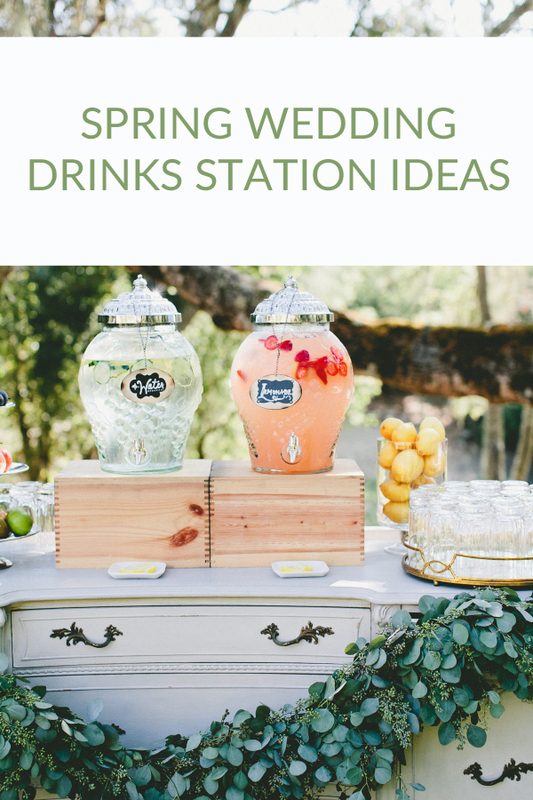 Browse our entire collection of wedding drink station decorations here.